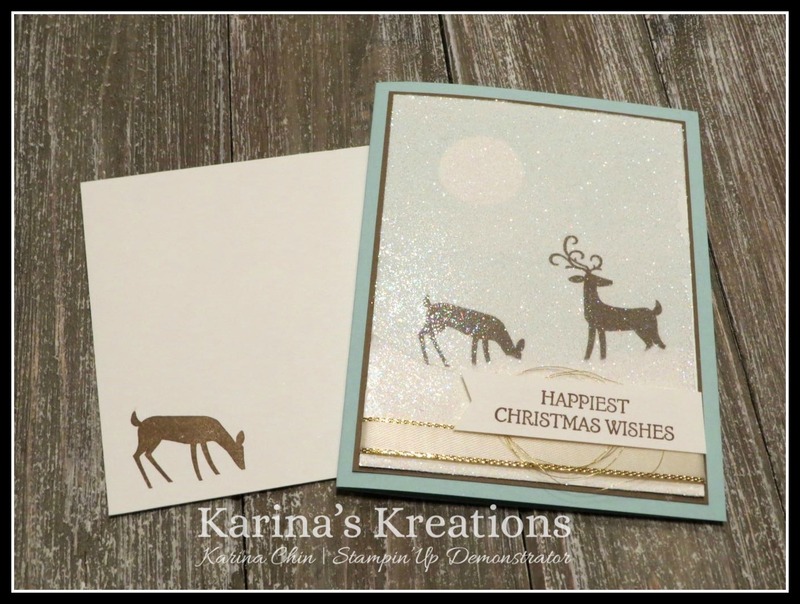 Karina's Kreations: Stampin'Up Dashing Deer Glitter Card! 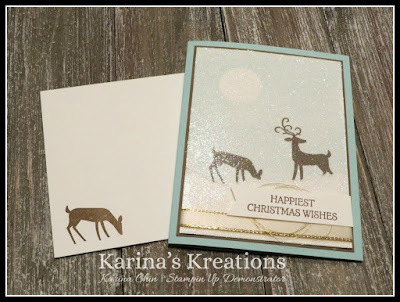 Stampin'Up Dashing Deer Glitter Card! 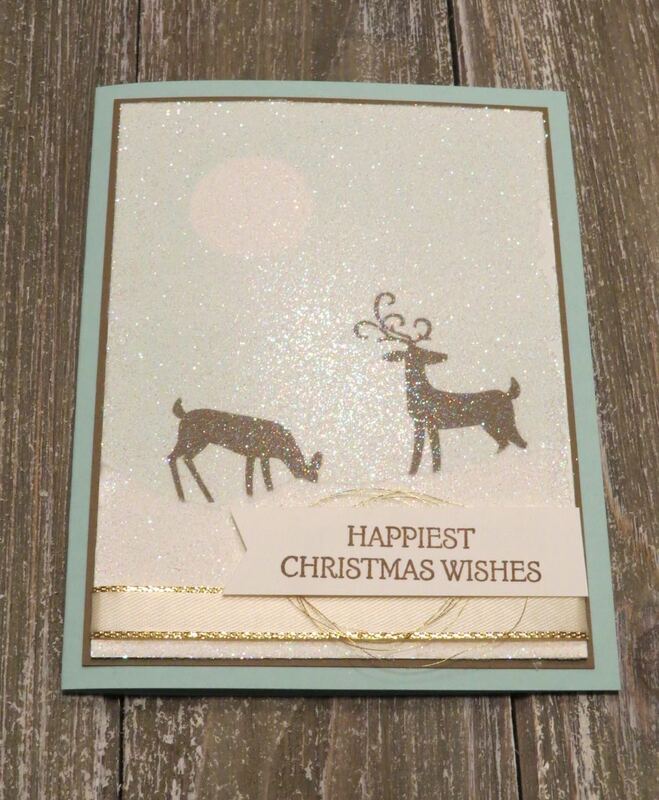 I taught a technique last night at my card class on how to create an easy glittery background on your cards. I used this technique on this card. It's hard to see the glitter in my pictures but it's so beautiful in person. 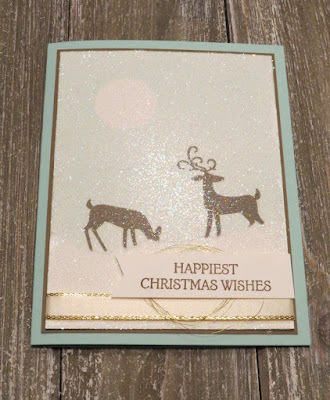 You need to buy the Stampin'Up adhesive sheets and Dazzling Diamonds glitter. I stamped my image on 3-3/4" x 5" Whisper White card stock and placed a 3-3/4" x 5" Adhesive sheet over the image, sprinkled on the glitter and gently rubbed it with my finger. So easy!!! 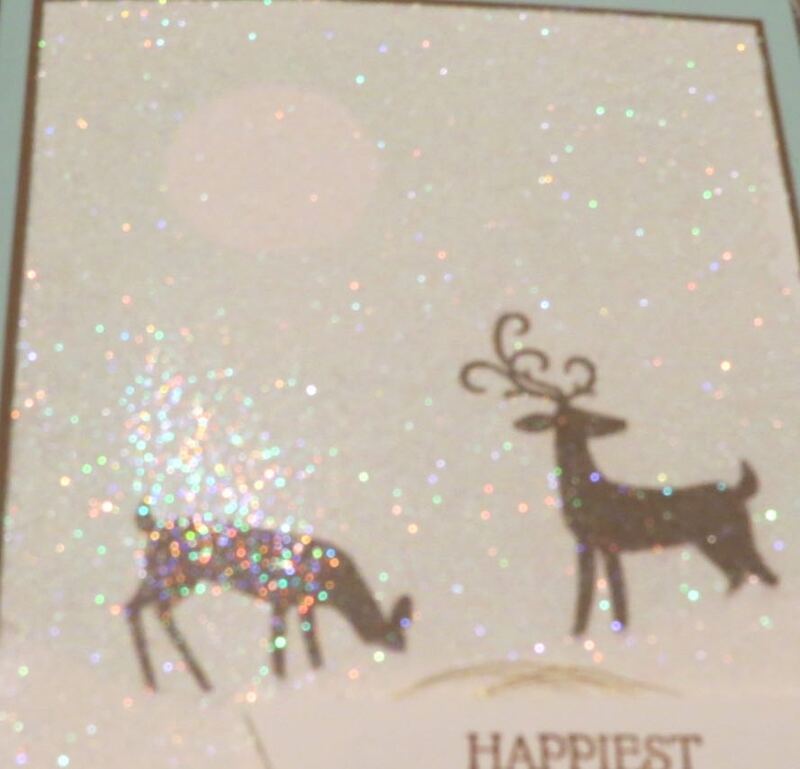 I made a youtube video showing how to make the card. The Clearance Rack was updated yesterday. Click on a picture below to go to my online store and start shopping.